Mexican ebook conversion and distribution provider Ink-It and Argentine e-commerce platform Publica.la have partnered to enable direct sales of digital content. 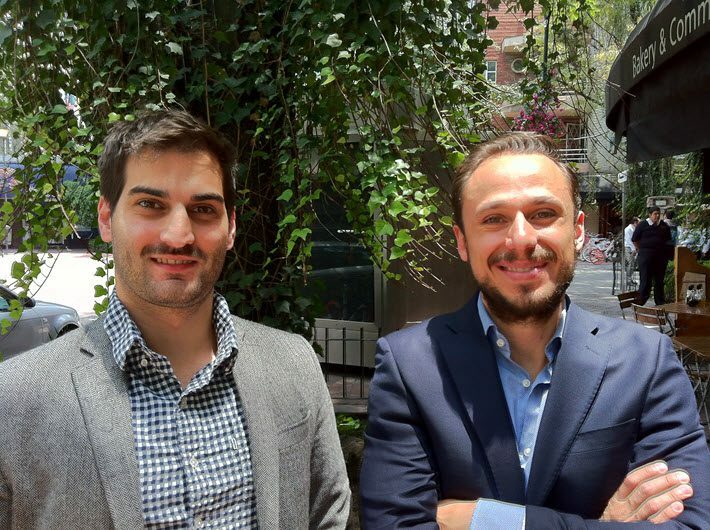 The new alliance between the Argentinian e-commerce platform Publica.la and the Mexican ebook conversion and distribution company Ink-it may not merely be good business for the two companies, their founders say. “This alliance is also aimed at raising the bar in terms of the quality of e-publishing in Latin America,” says Publica.la’s founding director Pablo Laurino. He says the majority of ebook production in the region at this point is in PDF. Partnering with Ink-It can allow publishers to create better quality ebooks in EPUB. His counterpart at Ink-It, Diego Echeverría, is also talking quality. “We have a quality-focused, rather than quantity-focused, goal,” he says. The two entrepreneurs spoke with Publishing Perspectives during the summer’s CONTEC Mexico conference from Frankfurter Buchmesse. The event featured Publica.la and heard from Ink-It’s Echeverría in a conversation on digital initiatives in Mexico. More from Publishing Perspectives about CONTEC is here. Ink-It offers digital conversion services to publishers and authors, producing content in formats suitable for online retailers from Amazon and Kobo to iBooks and OverDrive in 85 countries. The platform has so far attracted clients in Argentina, Belize, Brazil, Chile, Colombia, Cuba, Mexico, Peru, Panama, Spain, and the United States. “But we were lacking a way of allowing a publisher to create its own library or bookstore,” Echeverría says. “The alliance with Publica.la allows us to add another arm to our services, letting publishers launch their own e-commerce” retail capabilities. The principals of both companies say they want to make it easy for their clients to find each other’s offer. Clients of Publica.la (Publish It) include authors as well as publishers of books, magazines and newspapers. In addition to digital conversion services to EPUB and PDF, users can of course also create digital catalogues. The site, launched in 2016, also offers analytics to sort out a publisher’s most popular titles and users’ reading patterns. Laurino says he perceived a need for publishers to be able to sell D2C, direct to their consumers online, as well as through the standing Internet retailers. To date, he says, his company has created some 500 catalogues in 16 countries, each compiled by a client. “We always had a global vocation,” he tells Publishing Perspectives, “to attend to publishers in many countries. But we also realized that in some regions more digitally developed than others, there was a need to have a local presence. Having worked in publishing for a decade, in Argentina, Spain, and the States, Laurino says he encountered a common dilemma. “Publishers had difficulty taking control of their digital publications and applying their business plans to the digital world,” he says. “When I worked in publishing, I wanted to create a store to sell my books and develop an online community around my content. And with Publica.la, I wanted to construct a global solution that serves all publishers. Publica.la site’s is available in Spanish, English, Italian, and French, with Portuguese and Chinese versions planned. And, in fact, you’ll find Laurino’s international background reflected in the company’s contact info, which lists an office on Penn Avenue in Pittsburgh. “Technology allows us to go to where the readers are,” he says. “It’s not a question of fighting a trend or obligating them to do things that aren’t natural, but rather using technology to connect with them. “The two pillars of success in digital are the creation of communities around content, and the generation of statistics that allow us to understand what works and what doesn’t. And from his base in Mexico City, Echeverría says he believes that e-reading is gaining traction in the wider Latin American market, though not to the degree seen in Mexico as yet. And a boost in information from his work with a fellow digital partner can help. “The alliance between the two platforms” he says, “generates a lot of data, allowing content producers to analyze how their books are viewed. “When we started Ink-It six years ago, the ebook was new. We’d visit potential clients and have to show them what an ebook was. More from Publishing Perspectives on Latin American markets is here.